Jeff Finger was born 1979 in Hancock, played for Houghton High School and went to the State Finals as a freshman, where he scored a goal on a penalty shot. 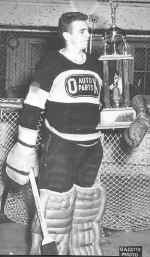 He went on to play AAA Midget hockey with the Marquette Electricians and then Junior A with the Green Bay Gamblers before playing with St. Cloud State in the WCHA. In 1999, he was drafted by the NHL's Colorado Avalanche, 8th round. He played Division I college hockey with St. Cloud State 2000-03. In 2003-04, he has played with the ECHL's Reading Royals and the AHL's Hershey Bears, Lowell Lock Monsters, and Albany River Rats. He played with the Colorado Avalanche 2 seasons 2006-08, leading the Avalanche in hits per game. In his 07-08 season he scored 9 goals, 11 A, playing in 72 games; and 2 points in 5 playoff games. In July 2008, Jeff was offered a reported $14 million, 4 year contract with the Toronto Maple Leafs. Way to go Jeff!!! Grindy Forrester, born 18-- in Canada?, played point on the 1905-06 Portage lake Pro Team, then returned to Canada to play for the Winnipeg Maple Leafs 1907-09 when the Leafs turned pro. 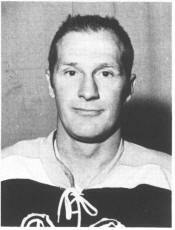 Bill Frantti, born 19-- in -- a Calumet native, played hockey for Michigan Tech 1948-50. Frantti went on to be the head hockey and football coach at St. Cloud Tech High School for many years. In 1993, he was inducted into the Minnesota Hockey Coaches Association Hall of Fame and in 1998, Frantti was honored with the Cliff Thompson Award by the Minnesota State HS Hockey Coaches Association for "long term outstanding contributions to the sport of hockey in Minnesota" He is retired from High School coaching and teaching but serves as the goaltending coach for St. Cloud State men's hockey team. Katie Fredianelli, born 19-- in --, played with the local K-Wings women's teams from 2001-2004?... Katie currently plays for the local Finlandia University women's hockey team 2008 to --. Gerard "Fuzzy" Frenette, born 19-- in -- from Hancock, grew up near the Laurn-Grove skating rink. He played on the 1953-54 Laurn-Grove team that was runner-ups in the Michigan State Junior Championships; this was the first group playing under the Laurn-Grove banner to draw statewide recognition. He was on the 1955-56 Portage Lake team that won the National Senior Championship in Lewiston Maine. 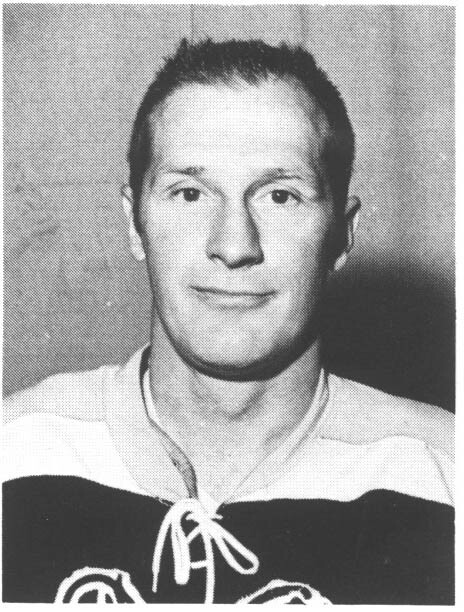 Frenette went on to play pro hockey in the Eastern League in Huntington, WV with the Johnston Jets -EHL and the Huntington Hornets -IHL in 1956-57. He played with the Muskegon Zephyrs 1960-62. 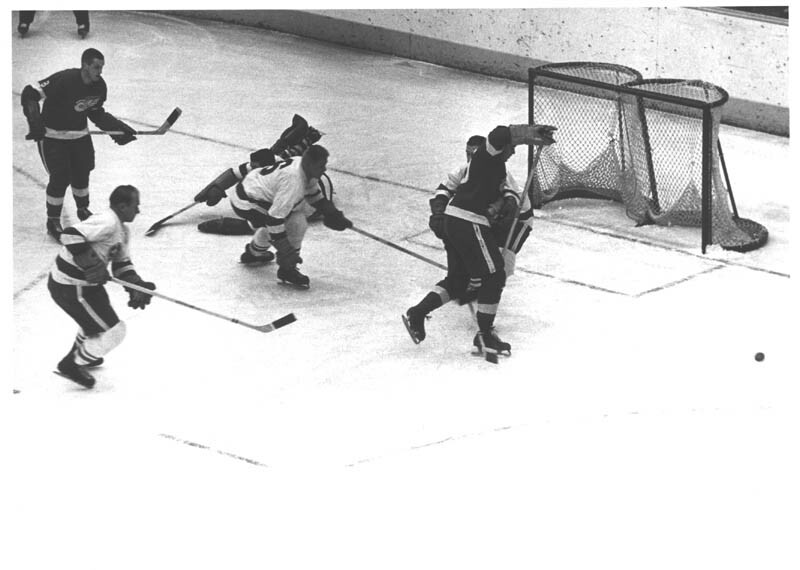 In December 1960 the Zephyrs played the Detroit Red Wings. Frenette, along with fellow Hancock player, Rod Paavola, were on the Zephyrs team when they were the IHL Eastern Division playoff Champs in 1961. He played 14 seasons with the Green Bay Bobcats 1961-1974 in the USHL. He was on the 1965 Green Bay Bobcats team when they won the National Senior Championship. A Bobcats 1971 Program described him after 9 years on the team: "At 5'9" and 165 pounds.... he is the all time Bobcat penalty leader with a career total of 671 minutes. One of the best skaters on the team, also leading defenseman in total points scored of 154. Last season he had 5 goals and 11 assists." He was on the Bobcat team when they won the USHL 1971-72 Championship. in front of the goal.